In Jacksonville, Florida, a convicted felon does not have certain civil rights. Normally, a Florida resident has the right to vote, serve on a jury, hold public office, and obtain occupational license. However, if you are a Florida resident and a convicted felon, you probably lost these rights. Your sentence is complete (you cannot be in custody). You are not under supervision (you cannot be on probation). You paid all restitution and costs associated with your felony case. You submitted your Restoration of Civil Rights Application and it was approved. You have no pending charges or detainers. The Clemency board approves your request. A hearing may or may not be required before the Florida Clemency Board makes a decision. If you are approved, you will be issued a restoration of rights certificate. 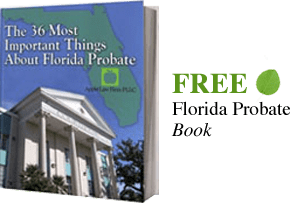 When you apply to restore your rights in Jacksonville, Florida or any other Florida city, the Florida Parole Commission may conduct an investigation. Depending on the results of this investigation, you may be subject to a hearing to decide whether your rights will be restored. However, there are things that you can do to help. For instance, you can show the positive steps that you have made in your life since the felony conviction. You can send letters of reference from people in the community that are familiar with your good character. You can also restore your gun rights in Florida. If you would like to restore your civil rights in Jacksonville, Florida or the surrounding areas, contact a Jacksonville Florida Restoration of Rights Attorney. A Jacksonville Florida Restoration of Rights Lawyer will work hard to get your civil rights restored.